Our prints are currently sold unframed whilst we grow our business. 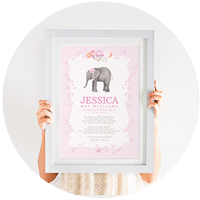 Whilst the space isn’t available to offer beautiful framing options, we are able to recommend some fantastic frames here to suit all budgets. This is a fantastic framing option for colourful prints, available in a variety of colours. Ignore the reviews, we think this frame is great! This is an off-white (ivory) so may not be suitable for a white background print, background colour options can be discussed! This option has fantastic reviews! It is also a fantastic price for the size.. We haven’t checked out whether this is an ice white frame but it does state ‘white’. Slightly cheaper but another great option! Slightly more expensive but another great option!